air conditioning, plasma TV, mini bar and safe. Find the most suitable room type for you and let yourself be pampered. Designed for couples who want more space and comfort. 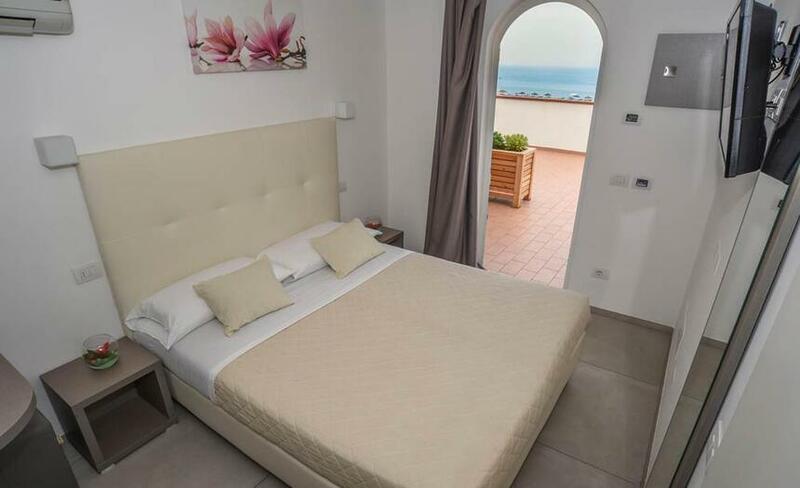 Our Standard Rooms can be either double or twin; they offer large bathrooms and a beautiful view of the garden. 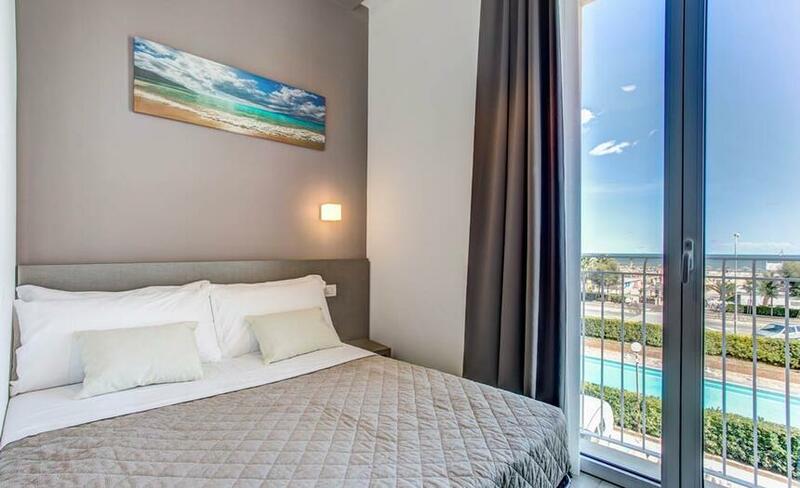 Standard rooms are also available with bathrooms for the disabled. 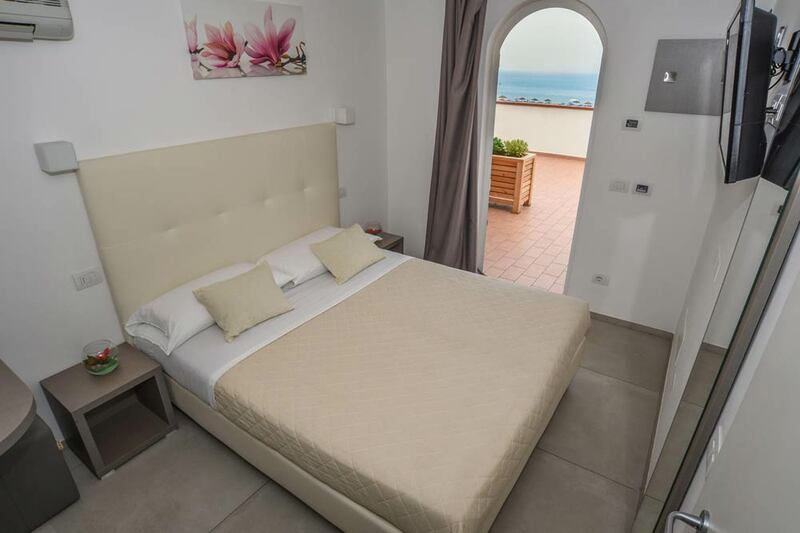 Overlooking the beautiful garden and the charming Viale Regina Elena, these rooms are ideal for young people and couples who are staying in Rimini. Available in the following types: Double, Double used as Single, Triple, and Quadruple. 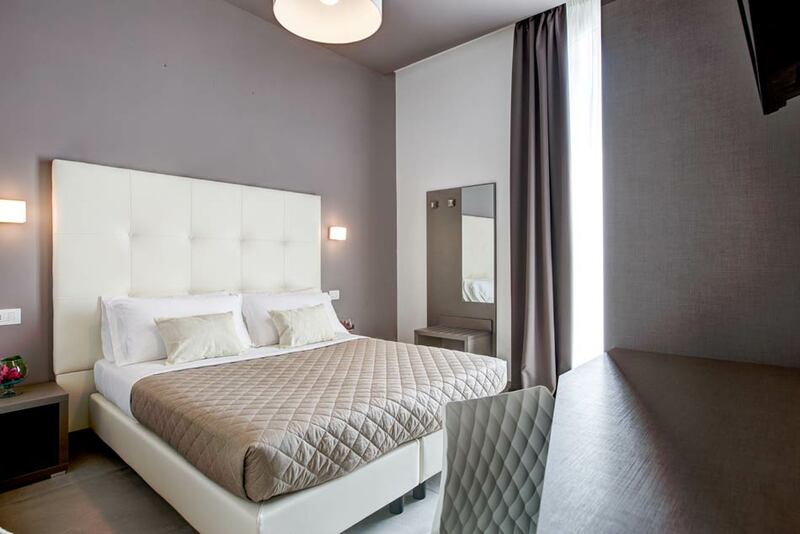 These rooms of the hotel are ideal for families on holiday in Rimini, who wish to enjoy a beautiful sea view. 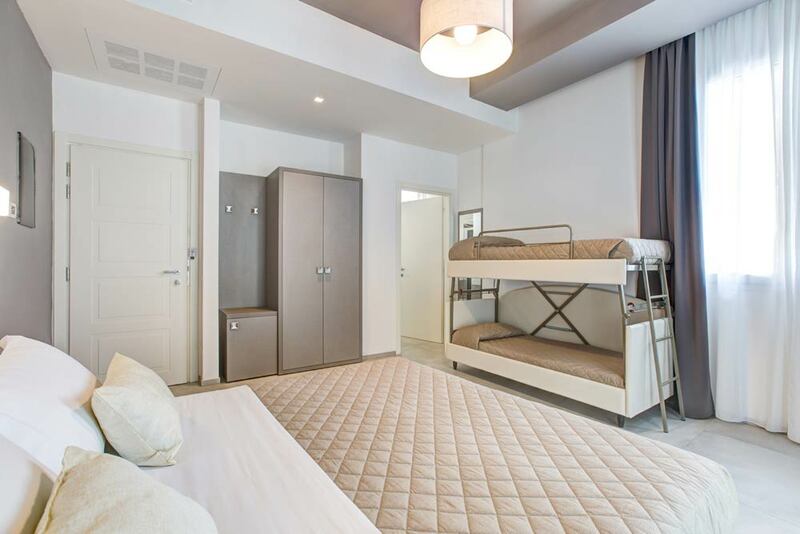 Equipped with a double bed and a bunk bed, they can accommodate up to 4 people. Available in the following types: Double, Triple, and Quadruple. 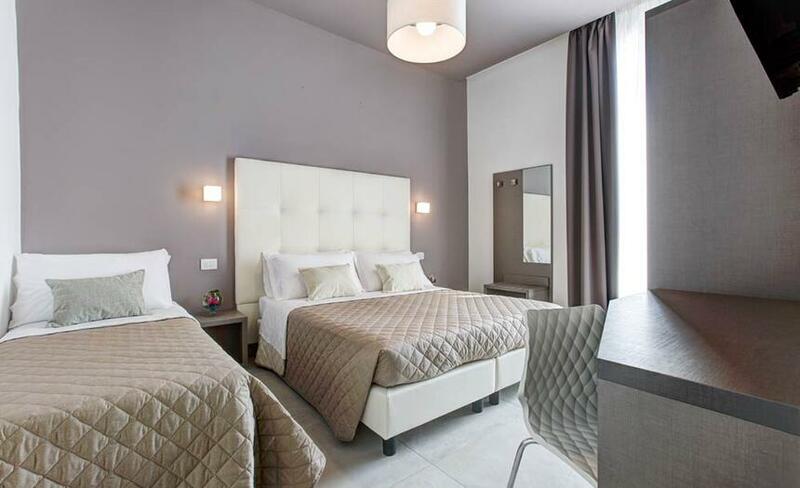 These rooms of the hotel are ideal for families on holiday in Rimini, who wish to enjoy a beautiful sea view. 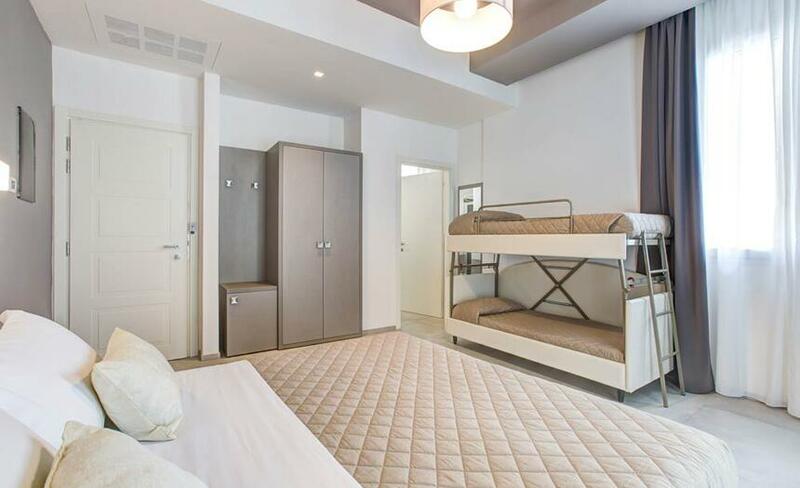 Equipped with a double bed and a bunk bed, they can accommodate up to 4 people. 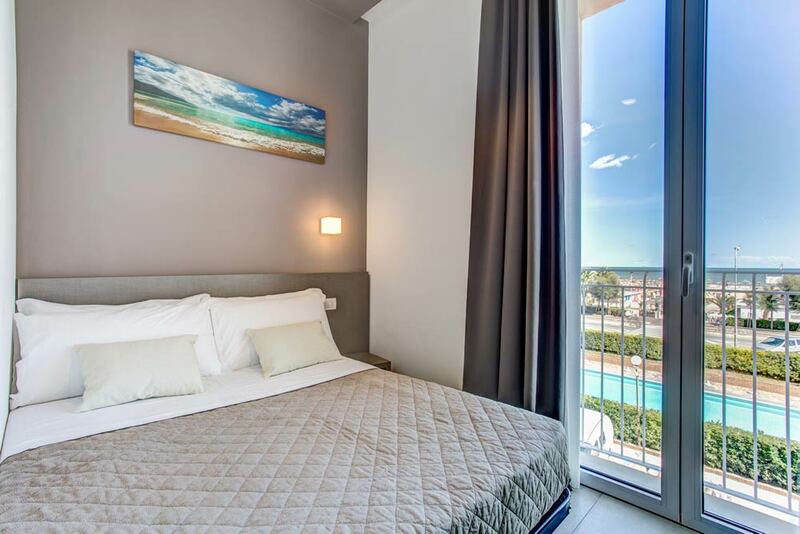 Available in the following types: Double, Triple, and Quadruple..
Two rooms that are slightly smaller than average, offering a French double bed (1.50 m) and a view of the sea of Rimini. 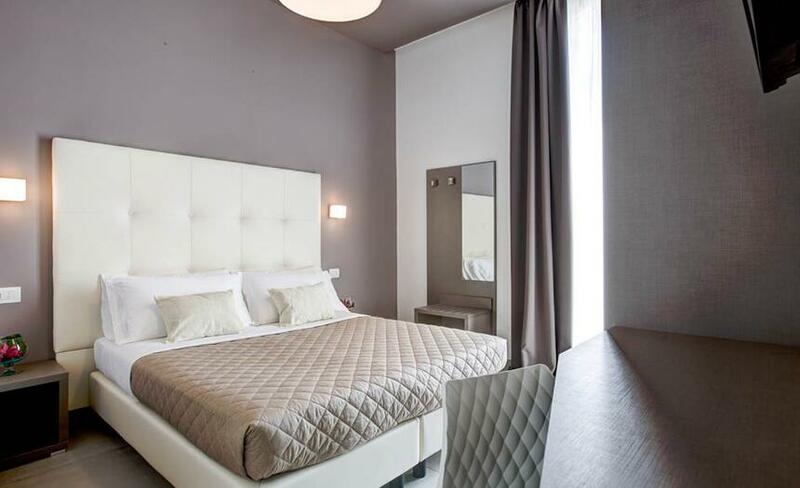 Available as Double and Single, this affordably priced option allows you to enjoy all the services of the hotel..